- Steven Wilson / vocals, guitars, keyboards, samples, programming, production etc. A very interesting look into 'Signify', and it is also superior to the studio album in many respects! Its more of a concept than 'Signify' is, you get to here what the original product is. Its intense, mellow, and rather brilliant. If there was a section devoted to the 2-disc edition of 'Signify' I would give it 5 stars, but 4 will have to do. Not just for devoted fans, I'd suggest it over 'Signify'. 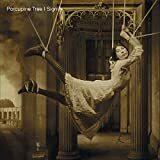 Seeing as how "Insignificance" is no more or less than a select sample of Steven Wilson's basic demos recorded sometime before 1996, it really can't be fairly graded on the same level of a normal Porcupine Tree studio album and I won't. It's most easily available as a bonus CD that comes with the 2003 remastered version of "Signify" and it is significant, indeed, because it gives the listener/fan an intimate look inside the inner workings of Wilson's mind and a glimpse of the creative process he employed at that stage of development. I prepared for writing this review by listening to the CD through headphones while gazing out my dining room window on a wet, blustery morning and I can tell you without reservation that this is excellent rainy day music and there's a lot to be said for that kind of album. "Wake as Gun I" starts things off with basic acoustic guitar and vocal, giving you the feeling that Steven could be sitting across from you, playing one of his trademark moody, dark songs in person. No drums ever appear but there's plenty of interesting musical decorations coming and going, giving the tune its own charm and character. Next is "Hallogallo," an instrumental that sounds as if you are standing next to some warm, humming electric generator at the outset. Wilson utilizes a drum machine with tasteful restraint here (and throughout the proceedings) as he builds the song layer by layer over an unadorned guitar. It then segues seamlessly into the bigger, fatter guitar tones of "Signify" which is a slightly rougher version of the slick studio track. Here you really get the feeling that you're getting to observe this gifted composer/arranger patiently honing his craft as he experiments freely with various voice snippets and loops. 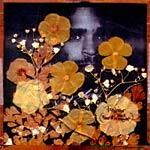 "Waiting" follows and it's another homemade version of a song appearing on "Signify." It doesn't have any new angles other than the fact that the programmed drums aren't as good as Chris Maitland's (Well, duh!). The ending is a bit more psychedelic but that's about the only noticeable difference. "Smiling Not Smiling" has a loose, somewhat folky progression that evolves into a Pink Floyd-ish floating segment and then repeats itself. Just something a little different from Steven's secret repertoire. It slips very naturally into "Wake as Gun II" which, as you would expect, is a reprise of the opening tune but here it develops into a much more experimental number using free form, arrhythmic drum patterns with disassociated noises and voices drifting about. "Neural Rust" is an intriguing instrumental that reminds me of his earlier material in that it starts with a 7/8 drum beat for a few measures, then moves into a straight rock tempo, breaks into a funky riff for a while, drifts into a dreamy feel and then expands to a dramatic finale. "Dark Origins" not only begins with another 7/8 time signature but it stays with it throughout this cosmic piece. The droning bass and wordless, almost mournful vocals create a thick, spacey atmosphere that is perfect to lose yourself in for 7 minutes. It's old-school Wilson the astronaut at his other-worldly best and the highlight of this CD. I actually like his demo of "Sever Tomorrow" better than the studio version because the repeating drum line and cymbal crash is more subdued and not as irritating. I do miss the stacked harmony vocals on the chorus but the tinkling piano lead, though buried in the mix, is captivating and I wish it would have been featured more prominently. An acoustic rendition of "Nine Cats" ends the album and it's pleasant enough to warrant inclusion but there's not a lot here except some chords and odd, subliminal lyrics about blue baboons and other animals. While I can't see myself listening to this all that often, I can easily envision cloudy days in the future that will invite introspection and this would be a fitting soundtrack for the occasion. I think it's great that Steven shares his private laboratory work with his followers like this and it adds welcome value to one's investment in Porcupine Tree's "Signify" package. While the casual fan may not care for its rawer nature much, the true fan will find plenty here to contemplate and enjoy. 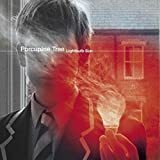 A combination of B-sides and demos make for interesting listening for fans of PT, who will appreciate the early versions of some of "Signify's" songs as well as originals not heard anywhere else. 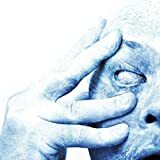 "Wake as a Gun", "Smiling Not Smiling" and others feature a dreamy sound which, while certainly a nice listen, are not as cohesive or as polished as those on "Signify". They sound more experimental and rough, giving a sense of real progression when compared to the final cuts. Luckily these tunes are now packaged with "Signify", since they wouldn't be worth tracking down on their own save for the dedicated completionist. 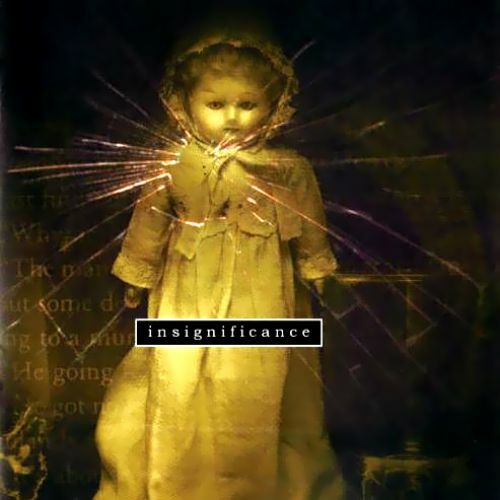 Originally released as a limited edition fans only cassette, "Insignificance" was made widely available when it was added as a bonus disc to the remastered "Signify" album. Here we have around 46 minutes of demos and unused songs from the "Signify" sessions (50 minutes if you have the original cassette, which also included "Door to the river" and "Insignificance", but excluded "Dark origins"). "Wake as a gun" is split into two sections; these book-ended one side of the original cassette. Steve Wilson explains that he always envisaged this acoustic number as forming part of something bigger, but as he never found a suitable home for it, it remained unused. "Hallogallo" is a cover of the Neu! song of that name, included to demonstrate how the title track of "Signify" (which immediately follows) came about. This version of "Hallogallo" will be of interest to those who appreciate the Krautrock of Neu! and Kraftwerk, the track swimming in synths and sundry floating sounds. As the bass rhythm becomes more emphatic, the reason for the transition into "Signify" becomes apparent. "Smiling not smiling" is a completed song which was omitted from "Signify". It is actually a rather twee, pop like number which would not have sat well on the album. 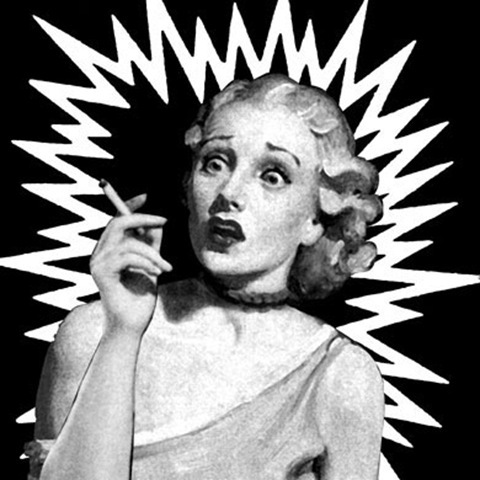 "Neural rust" is a dreamy instrumental which later appeared as a single B side entitled "The sound of no one listening". "Dark origins", which was not included on the cassette version, is an early version of the final track on "Signify", "Dark matter". This track replaces "Door to the river" and "Insignificance" on the CD version, as those tracks were subsequently included on "Metanoia" (q.v.). "Sever tomorrow" is a demo of the track simply titled "Sever" on "Signify". Once again, this version could well have been the one which was included on that album, such is its completeness. It is slightly slower than the final version, but as a demo it is highly satisfactory. The album closes with an acoustic rendition of "Nine cats", a song which was included on the band's first album. It is a Wilson solo number, this version illustrating the way he performed it a couple of times at live gigs. 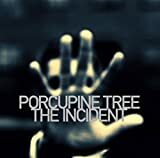 In all, a fine collection of hidden treasures from the Porcupine Tree archives. Fans of the band will find the demos of familiar songs and the collection of unheard material interesting. Those who are new to the band, and who acquire the double CD version of "Signify" will find they have a fine double album. A decent collection of some home brewed material before the original album. This CD can easily be obtained by purchasing the re-mastered version of the 'Signify' album. I would utterly recommend getting it that way. Overall this is obviously not as good as the album, but there are some spots on this EP that clearly outshines 'Signify'. 'Hallogallo' and 'Signify' flow into each other pretty nicely. 'Hallogallo' serves as an appetizer to 'Signify' in a slower, upbeat form with no heavy accentuated notes. 'Signify' does the opposite and instead of being boring and repetitive (as the original), it adds some nice ambience and chiming vocals. 'Waiting' - If this song were to be played in front of you, you wouldn't even notice the difference. The demo was very similar to the final track, so don't except any changes here. 'Neural Rust' and 'Dark Origins' were largely ambient pieces in the style of the album 'Signify'. It was pretty sweet. 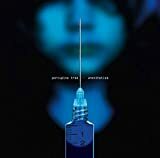 'Nine Cats' is a track from Porcupine Tree's debut album. This is an acoustic version and is done very well. It actually makes it feel like the entire first album could have been great given Steven's new found glory in production and acoustic work. Anything I did not mention was basically a throw away and I almost mentioned everything! This is certainly something a fan of the band would want to have. People who know some of Porcupine Tree should consider eventually getting this good demo CD. This EP, on the other hand, surprised me a lot. Signify is already a Porcupine Tree release that I am quite fond of. This album craftily reimagines pieces and parts of it and sews them together in a strange and unique blend of Insignificance. This is one of those B side collections from the band that sounds seamless and planned, which tends to throw off a good number of listeners. This one came with my double disc special edition of Signify, and it complements the album very well. If you are a fan of Signify and that style of music, this is definitely worth listening to. The only problems are the weakness of the later tracks and the slight lack of production depth. A very neat album to have. The Insignificance EP was released shortly after its album counterpart Signify and stands as a nice peak at the album's origins. These days the album is fairly easy to find thanks to it now being tied to Signify as a package deal, a second disc that comes with every remaster. Quite frankly, it's good for a few listens at varied intervals, but it's not anything to get overly excited about. 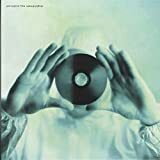 While other EPs released by Porcupine Tree have been very valuable indeed, (see the wonderful Staircase Infinities) this one stands to be mostly unforgettable and passable. Fans will get a kick out of hearing some of the songs in their demo form such as the splendid instrumental Signify, here presented as a more acoustic and less pounding version of itself paired with an extension to the song called Hallogallo. Other songs on the EP are a mixture of original cuts that didn't make it to the album and further demos. Wake As Gun I and II are a pair of singer/songwriter feeling songs that are heavy on the acoustic guitar and not much else. A song that could have become something pretty cool if fleshed out, but here is presented raw. Waiting comes off as pretty close to the original, if not as long and with a less impressive jam session at the end of the track, and the same can be said for Sever Tomorrow, which is a pretty close variation off of Sever from the album. The final track is an acoustic cut of Nine Cats from the band's early days, and it still stands as pleasant, but without the finished effects it's not as ethereal as the album version which made it so great to listen to. Overall this is an album for the fans. People who want to see the origins of the album that became the turning point for one of today's biggest progressive rock groups. A pleasant listen every once in a while, but not worth going out and hunting down the original tape of the album unless you absolutely must have everything created by Steven Wilson. 2.5 stars, fans and collectors only, anyone else who is interested in the band are better off getting the finished product. 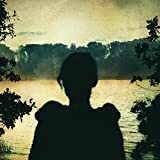 Post a review of PORCUPINE TREE "Insignificance (K7)"